ISLAMABAD: Investors should forget India and instead profit from the ‘quiet rise’ of Pakistan along with Sri Lanka and Bangladesh, Barron’s Asia said. “Forget India. Investors looking for the next big thing should look to its South Asia neighbours instead — Pakistan, Bangladesh and Sri Lanka,” America’s financial magazine in an article said. According to the article, the three countries with a combined 390 million people represent what Morgan Stanley chief global strategist Ruchir Sharma calls “the quiet rise of South Asia” as opposed to India which has been “flattered by spasms of hype for years”. While overshadowed by their larger neighbour, the trio is enjoying fast-paced growth, embracing much needed reforms, and look set to enjoy a demographic dividend over the long term. “A substantially higher economic growth rate than in many other economies globally, coupled with fantastic demographics that will continue supporting growth for many years ahead,” East Capital fund manager Adrian Pop tells Barron’s Asia. The article mentions that Pakistan is the flag-bearer of the positive changes taking place in the South Asian nations. Since coming to power five years ago, Prime Minister Nawaz Sharif has got inflation under control, cut the budget deficit and reined in the current account deficit. But more importantly, terrorism finally appears to be on the backfoot given more assertive action by the army. Chinese investment has also poured in: $50 billion will be spent on new roads, transport links and energy projects. “More power capacity is key for Pakistan to move to an even higher economic growth rate,” says Pop. That will benefit stocks in materials and energy.In December, the Pakistan Stock Exchange sold 40 percent of itself to a consortium of Chinese investors. 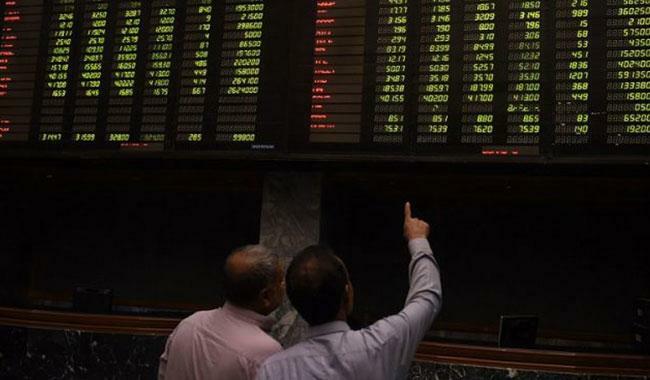 The Karachi stock index is up by about 50 percent since the start of last year, propelled by index compiler MSCI’s decision to bump up the country to emerging markets status. That will bring in hundreds of millions of dollars from passive funds into the Pakistani benchmark. The rally in stocks has arguably left the market looking a little pricey as the KSE 100 index trades at over 12 times earnings, its heftiest valuation since late 2009. That’s still about a 15 percent discount to the MSCI emerging markets index, however, plus Pakistani stocks yield an attractive 4 percent-plus dividend. Bangladesh benefits from a growing working age population and rising labour costs elsewhere in Asia. Garment manufacturing for Western clothing companies has increasingly moved from China to places like Bangladesh, where wages are lower. The article said in August it tipped downstream firm Pakistan State Oil (PSO.PK), which has since risen 10 percent. It’s worth hanging onto that stock, but we’d add upstream exploration player Oil & Gas Development (OGDC) to the mix too. Shares in the Islamabad-based company have powered up 45 percent in the last year, and could rise by a further 30 percent.Oil & Gas Development will benefit from any further recovery in oil prices, which have roughly doubled since hitting their nadir last February. Earnings per share should rise by 17 percent in full-year 2017 and 20 percent in full-year 2018. Oil & Gas Development trades at eight times forward earnings, which is toward the higher end of its historical valuation. That multiple is more compelling than exploration peer Pakistan Petroleum (PPL), however, which trades at 10 times next 12 months’ earnings. About Lahore’s DG Khan Cement (DGKC), which is one of the country’s largest cement producers, with a capacity of more than four million tons a year. The stock also makes a good foundation for a Pakistan portfolio. At the end of December, the countries jointly announced a $14 billion dam project close to DG Khan’s HQ in northern Pakistan. The dam will need about a million tons of cement. Shares in the company have returned a solid 50 percent over the last year. DG Khan’s valuations looks a bit less stretched than that of rival Lucky Cement (LUCKY), which investors were told to pour into their portfolio over summer. DG Khan trades at 10 times forward earnings, compared to Lucky’s 16 times. Its dividend yield of 2.6% is also bigger than its rival. Brokers think DG Khan can rise by as much as 25 percent. 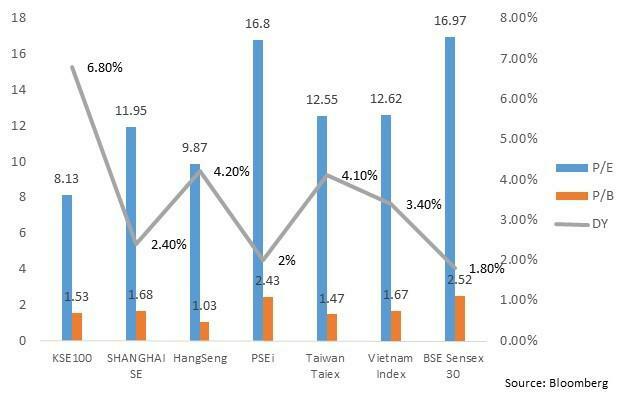 Lowest market P/E in the region with the highest return. Upgradation of Moody’s rating of the country. Pakistan is the 26th largest economy according to PPP (Purchasing Power Parity), and the sixth largest populous country in the world with a burgeoning middle class, having 54% of the population below the age of 24 years. In news, Pakistan has been presented as the turbulent nation embroiled in militancy and political violence. However, the landscape of the country has been changing since the past two years, with an improving macroeconomic situation, steady political outlook and substantial improvement in law and order, and the upgradation of its bond ratings from Caa1 to B3, a stable outlook. On 9th June 2015, the MSCI stated about a potential reclassification of the MSCI Pakistan Index into Emerging Markets from the current classification of Frontier Markets in its 2016 Annual Market Classification review. This categorization would trigger a large flow of emerging market funds to return to Pakistan as the MSCI Emerging Market Index is tracked by global funds worth $1.7 trillion, according to Bloomberg. Further, in one of the lectures at the Aga Khan University, the Chief Investment Strategist of Morgan Stanley said that Pakistan’s rise is just a matter of time. This was due to the favorable demographics and the lower P/E of the stocks – performing better in terms of return – when compared to the markets of the developed world. The KSE 100 Index, which tracks the top 100 companies out of the 557 listed on the stock exchange had a five-year US dollar CAGR of 25% (highest among its peers) and net profit margins 60% above the five-year average of the peer group whose margins are 10.2% lower than its five-year average. The Bourse has an average ROE of 19.2% against the peer average of 10.2%. As the above graph illustrates, Pakistani stocks have a lower P/E, P/B and higher dividend yield relative to its peers. Nawaz Sharif’s Pakistan: A New Age Dawns or More of the Same? 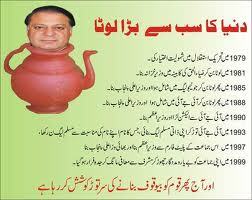 Nawaz Sharif is back. And back with a big enough chunk of parliament that he won’t have to form a coalition government. After a record number of Pakistanis showed up at the polls and dumped the delinquent Pakistan People’s Party out of power, many Pakistanis have rejoiced with hope that their country is on the brink of a new period of prosperity. We don’t want to rain on anyone’s parade but we don’t share that optimism. Not so long ago Nawaz Sharif wasn’t much more than a corrupt thief, like many of his colleagues in the Pakistani civilian political elite. 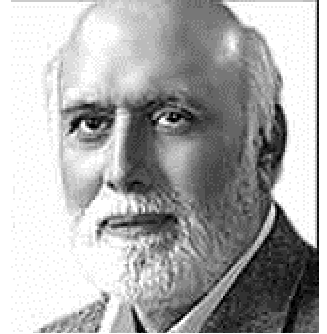 He and his party have visible links to some very nasty groups of sectarian militants, especially in the Punjab, a PML-N stronghold. Pakistan’s deep state, where the real power lies, doesn’t seem likely to let Sharif do more with his time in office than take the blame for the government’s inevitable failures and economic setbacks. Sharif will get blamed for all the potholes on Pakistan’s terrible streets, all the hours when the electricity isn’t running, all the schools that aren’t open and all the jobs that aren’t being created. And as ever, the parliamentary majority is for sale and doesn’t represent a coherent political force, except when it comes to fighting for spoils and graft. Pakistan is on the brink of a new era but only in the sense that one group of corrupt politicians have been dumped out of office in exchange for another group of equally corrupt civilians. The country still faces the same problems it faced five years ago and will likely face five years from today. This article was written before the Pakistan Election and is proving to be prophetic. Well done Russel Meade! Pakistan has long suffered from high inflation, led by soaring food prices, which has increased poverty levels. According to the United Nations’ 2011 Human Development Report, half the population suffers deprivations of all types. Only half is literate. Even then there are only 12 million television sets (surely a desirable medium for those who cannot read)—one for every 14 people. This means a lot of communal watching of mostly state-owned channels of the Pakistan Television Corporation (PTV). At present, the only other terrestrial television channel is the privately owned ATV, in which PTV and the Pakistan Broadcasting Corporation are majority (80 percent) shareholders. The sameness is deafening. However, urban Pakistanis are getting richer and spending money on alternatives. Thus PTV has ceded ground to more than 20 privately owned broadcasters with 89 domestic and 26 foreign channels, with national television viewing split evenly between terrestrial on the one hand, and cable and satellite on the other. This proliferation of channels has enabled Pakistani media to wield more influence over politics and public discourse than ever before. With this growing influence comes, however, a corresponding increase in attempts by the government to control media outlets. Indeed, state coercion and increasing censorship are among the greatest pressures on the media industry.